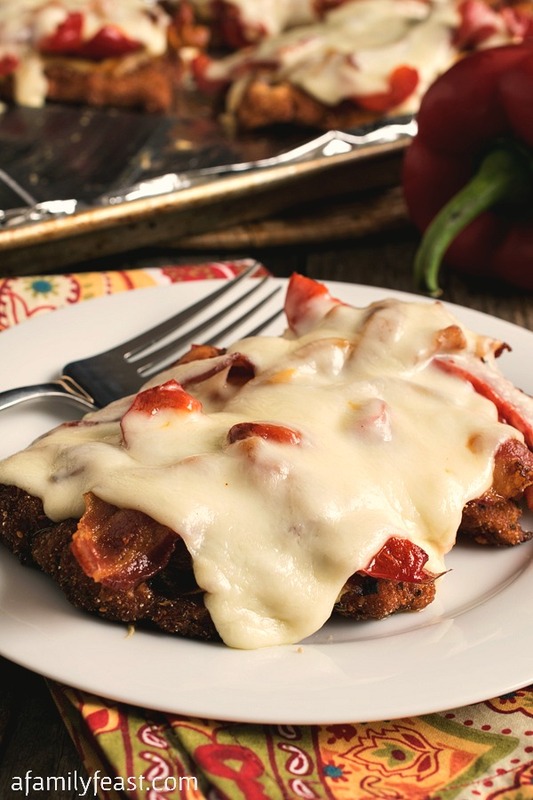 The name of this recipe � Chicken Pepper Bacon Melts � really says it all. This is a simple and delicious weeknight dinner that the entire family will love! In a large saut� pan, cook bacon to just under crisp (still slightly chewy). Drain on paper towels and reserve bacon fat. Leave two tablespoons of bacon fat in the pan and reserve the remaining fat for later in this recipe. Heat the pan to medium heat and add peppers and onions and cook over medium for ten minutes. Pour into a bowl and set aside. Visit Chicken Pepper Bacon Melts @ afamilyfeast.com for full instructions.